Acquiring a second passport has proved to be of significant importance for people who want to travel with less restrictions, to secure their assets, or to enjoy the benefits of welfare and high standard of living of another country. A dual citizenship provides international diversification, which is a crucial element for people who seek personal liberty and financial prosperity. European citizenship has been very popular among non-EU nationals who wish to obtain a second passport. Many EU countries have adopted laws and regulations in order to grant to non-nationals their citizenship or residence permit through investment. Cyprus is one of the most popular EU jurisdictions, as the Cyprus naturalization by investment scheme is considered the most straightforward route to becoming a European citizen. Over the last few years, Cyprus has attracted many non-EU citizens from around the globe. Investors and entrepreneurs choose Cyprus over other jurisdictions for the fast track application, which grants the Cyprus passport in only 90 days. Cyprus has become a popular choice for investors looking for asset protection, entrepreneurs looking to expand their international presence, and retired immigrants who seek a second passport. The scheme for “Naturalisation of investors in Cyprus by exception” was adopted on the basis of subsection (2) of section 111A of the Civil Registry Laws of 2000-2013 according to the Council of Ministers Decision (19.03.2014). The scheme allows for the dual citizenship of the applicant and the applicant’s family. Cyprus is one of the few countries within the EU that offers direct citizenship without any residential requirements at any stage -before or after the application- unlike other European countries. There are no language competence requirements for obtaining the citizenship and the English language is broadly spoken in the country. Wealthy individuals benefit from Cyprus’ solid business infrastructure and the high standard of professional and multilingual services, the good quality of life, the relatively low cost of living, and the access to health-care and the educational system. Cyprus also enjoys a very low crime level. The strategic geographical location makes the country an ideal destination and the Cyprus passport offers ease of travel (visa-free travel or visa-on-arrival) to more than 150 countries in Europe, Asia, Middle East, Africa, and USA. Most importantly, Cyprus is a full member of the European Union since 2004. Hence Cypriot citizens enjoy all the privileges of EU citizens: free movement of people and capital within the countries of the EU and free establishment and movement of services and goods in all the EU countries. EU citizens enjoy the right to freely travel, reside, work and study in any EU country, purchase property, transfer funds, and invest in any member state. The Cyprus scheme has a transparent procedure as the examination is solely based on economic criteria and the submission of a clear criminal record. The Cyprus scheme also benefits the applicant’s family, since the spouse and children below the age of 18 (or 28 under certain conditions) are also able to obtain citizenship. As citizenship can be passed on to a next generation, grandchildren inherit the Cyprus citizenship. Cyprus offers a combination of tax incentives for investors who are granted citizenship. The investors do not become tax residents in Cyprus unless they spend more than 183 days in the country in one calendar year. Hence tax is not imposed on the investors’ personal income. No tax is imposed on wealth, gift, inheritance, foreign income or capital gains, and no restriction is made on the repatriation of profits and imported capital. Corporations are subject to one of the lowest corporate tax rates in EU (12.5 %). Cyprus has also signed numerous double tax treaties with other countries that offer tremendous possibilities for international tax planning. The Cyprus government grants citizenship with various and often combined ways. Investors and entrepreneurs apply personally or through a corporation. The economic criteria are examined by the Ministry of Finance. The applicant may invest the amount of €5 million or the amount of €2.5 million in case of participation in a collective investment plan of €12.5 million. The investment can be made in (a) government bonds; (b) financial assets of Cyprus companies or organisations; (c) real estate, development and infrastructure projects; (d) purchase, incorporation of or participation in Cypriot businesses and companies; and/or (e) deposits in Cypriot banks or deposits of privately owned companies or trusts. The investor is also required to have a permanent privately-owned residence in Cyprus of at least €500.000 unless he/she chooses to invest the amount of €2.5 or €5 million in the purchase of a private residence. Investors often prefer to invest in real estate to benefit from the investment and growth potentials and to gain significant rental income. The most popular investment option for applicants who invest the amount of €2.5 million in real estate is the purchase of one residential property, as applicants are not required to invest the additional amount of €500.000 for their residence. The application for the naturalization is submitted to the Ministry of Interior and examined both by the Ministries of Interior and Finance. If the applicant meets the criteria and conditions, the case is presented to the Council of Ministers for the final decision. Once the application is approved, the Certificate of Naturalization is issued by the Civil Registry and Migration Department within two weeks. Cyprus also offers to non-EU investors a permanent and unlimited in duration residence permit. The permanent residence is granted to applicants for the rest of their lives without any renewal requirements or residential requirements; a short visit to Cyprus once every two years is sufficient. The residence permit may be granted by purchasing a property in Cyprus of a minimum market value of €300.000. Interested investors should keep in mind that applying for the Cyprus citizenship requires professional legal advice. The guidance offered by a reputable law firm specialising in immigration law, banking and finance, corporate law, and immovable property will determine the success of the application. Director of Business Development at MICHAEL KYPRIANOU & CO.
Eleni Drakou is the director of business development of MICHAEL KYPRIANOU & CO. LLC, a leading law firm based in Cyprus, Greece and Malta. 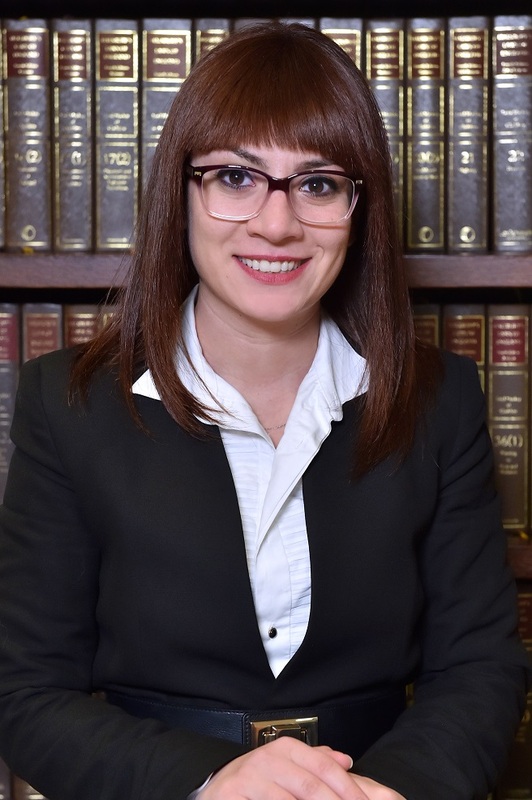 Eleni is also an associate of the law firm and a member of the Cyprus Bar Association and the Nicosia Bar Association. She has experience in the professional services sector and she is specialized in Corporate Law, Investment and Immigration Law.